As an emergency medical technician or paramedic, you’ll often find yourself working in noisy, harried and sometimes chaotic environments. 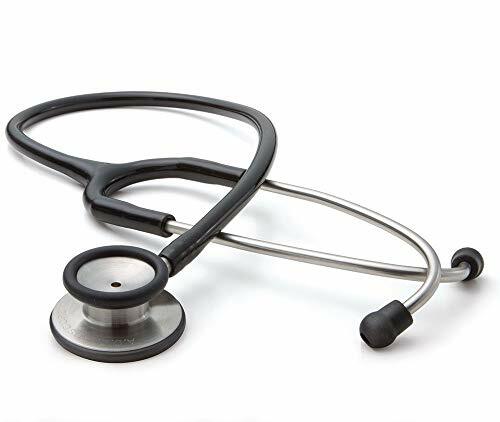 At times like this, when you need to make speedy and accurate, and at times life-saving, diagnoses, the right stethoscope is a vital tool to have in your arsenal. Not all stethoscopes can stand up to the task – when checking out vitals like abnormalities in the respiratory system or the heart, pulse, and blood pressure, you need a stethoscope not only with a broad enough frequency range to pick up anything from low to high pitches of sounds, especially the subtlest cues indicating a patient’s condition and determining further course of treatment, but also capable of amplifying the sound and insulating it from external ambient noise. As a critical piece of medical equipment you might find yourself using all day long, you’ll also need a stethoscope that’ll hold up to prolonged use, capable of being disinfected and comfortably used without the ear-pieces crumbling apart or the tubing showing tears. Take a look at our picks for the best stethoscopes for EMTs. A sophisticated dual-headed chestpiece features two diaphragms ideal for picking up a wide range of sound frequencies, stainless steel components and binaurals aiding in transmitting them clearly and crisply. Since the diaphragms are tuneable, altering the pressure with which the chestpiece is held to the skin of the patient allows you to seamlessly switch between frequency modes – light contact is appropriate for picking up low frequency sounds while firmer pressure picks up high frequency sounds. Thanks to the bell side of the dual-sided stethoscope, the tool can also be used to check the vitals of children and pick up low frequencies, with a chill-resistant bell sleeve so it isn’t unpleasant to the bare skin of your patients. The wide disc end of the diaphragm also features a non-chill rim for your patients’ comfort. Auscultation for this stethoscope is enhanced by the dual lumen design – the two in one tubing design minimizes noise interference and helps isolate the sounds the stethoscope is picking up so you can make speedy and precise diagnoses even in noisy and harsh environments, if not especially then. The careful design of this popular cardiology stethoscope extends even further, with the headsets anatomically designed to follow and meet the natural shape of the ear canal. Putting and keeping these on therefore is more comfortable to the user as well, the headset tension adjustable for different head sizes so you won’t find them too loose or too tight. Soft-sealing ear-tips are also both snug and comfortable to wear, blocking out ambient noise from interfering with the sounds picked up by your stethoscope. The tubing of the stethoscope is latex-free, so you don’t have to worry about using it on patients who might have a latex allergy, and is structured to be completely resilient and offer significant longevity, capable of being folded up and stored, and resistant to oil and alcohol spills and staining. If you’re training to be an EMT or paramedic, and aren’t ready to make a heavy-duty purchase yet or are just getting used to working with auscultation in emergency situations, you might want to pick a more budget-friendly option which nonetheless delivers with impressive performance as you fine-tune your skills. Our budget pick is a stellar choice, with a dual-sided chestpiece featuring a tear-drop shape, making it easier to use around blood pressure cuffs and bandages. As the name suggests, this stethoscope weighs just 118 grams, handy for medical professionals who may need to carry or wear their stethoscopes through the day. Like our top pick, this unit also features a tuneable diaphragm, alternating the pressure on the chestpiece letting you pick up and home in to a range of low to high frequencies. The latex-free tubing makes it safe to use for patients who might be allergic, while the non-chill diaphragm and rim ensure patient comfort when the chestpiece comes in contact with bare skin. As with our top pick, this unit also features an anatomically designed headset with soft-sealing, noise insulating ear-tips, suitable for use for different head sizes and ensuring comfort for the user and effective auscultation as well. The single-headed chestpiece of this unit features an Adjustable Frequency Design (AFD), allowing the stethoscope to pick up a range of low to high frequencies by alternating the pressure with which the oversized, non-chill diaphragm is held to skin. 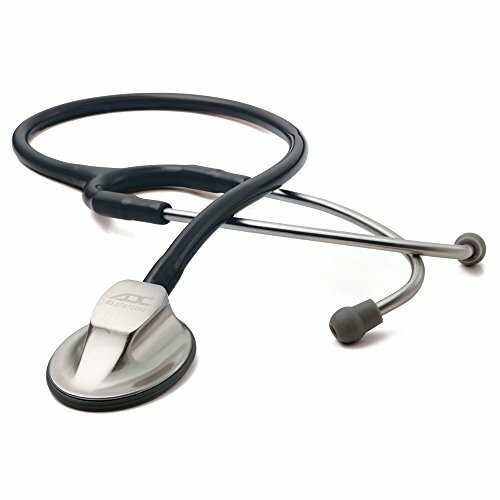 Built to handle rigorous use, the stethoscope features a double-leaf tensioning spring for adjustability and comfort, a reinforcing yoke enclosed within the flexible, wear-resistant and sound isolating tubing, as well as stainless steel binaurals (fixed at a 15° angle for user comfort) capped with soft-sealing Adsoft Plus silicone ear-tips. The stethoscope comes with two replacement pairs of ear-tips as well as a complementary ID tag, so you don’t end up losing your stethoscope or mistaking it for someone else’s during the confusion of rush hours. 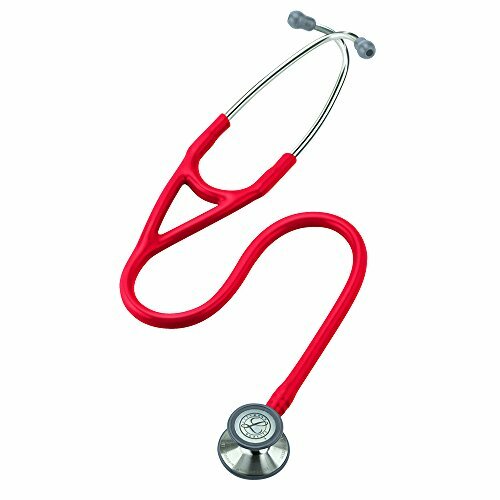 Unlike our previous option, this stethoscope features a more traditional dual-head chest-piece with both a bell and a diaphragm covering a full range of frequencies. Like our previous runner-up, the chestpiece is chill-resistant to prevent discomfort to your patients, built with Adjustable Frequency Design (AFD) for the enhanced acoustic performance integral to the work of paramedics. 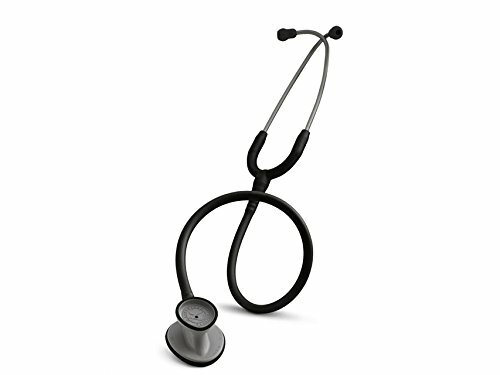 This durable stethoscope features the reinforcing yoke molded into PVC tubing and stainless steel binaurals of our previous option, brilliant for longevity as well as enhanced sound transmission thanks to the heavier metal. The binaurals (fixed at a 15° angle for user comfort) are capped with Adsoft Plus silicone eartips for sound insulation and comfort, with two additional pairs of eartips and an ID tag included with the stethoscope. Also like our previous entry, this stethoscope features double-leaf spring tensioning to hold up to rigorous use without compromising on functionality or comfort.